With the Dubai heat rising, including sun protection in your beauty routine is essential. However finding makeup which protects your skin from sun damage, without comprising on beauty, can be difficult. That’s why we’ve highlighted our pick of the best SPF beauty products that you can buy at UAE online beauty stores. Delivered straight to your door in Dubai, these beauty must-haves have broad spectrum sunscreen protection which helps to protect you from harmful UV rays and potentially skin cancer, as well as preventing wrinkles! Living in Dubai’s hot climate, it’s even more important to fill our makeup bag with SPF products that have anti-aging properties and full protection against the sun –we know the struggle is real! Luckily more and more beauty brands are including SPF in makeup for all skin tones, as you may not even realise that you're favourite makeup product has already got you covered. 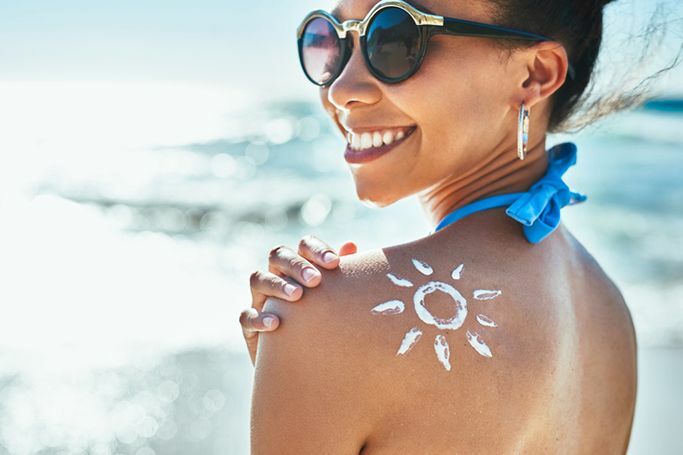 So, from finding the perfect base with built-in sunscreen, to tinted moisturisers and lip balms with SPF, here are 12 beauty products with SPF protection from Dubai online beauty stores –which you’ll definitely need for the Dubai summer ahead! Best for: Lightweight with high UVA/UVB sun protection and a luminous finish, also has antiaging benefits. Best for: Non-stick lip gloss which hydrates lips and deepens the natural lip colour. Best for: Weightless, buildable formula with sheer to full coverage and still a bare skin feel. Best for: Targeting fine lines and wrinkles to soften their appearance whilst also bringing moisture to the skin and providing UV ray protection, leaves a radiant shimmer. Best for: Helps to guard your delicate eyelids against the sun, smoke and pollutants, and also extends the wear of eye shadow for long-lasting colour. Best for: Helping to brighten and diffuse imperfections, the bronzer is perfect for adding depth to the forehead, cheekbones and jawline. Best for: Combines all the benefits of skin treatment and protection with the coverage of a sheer foundation. Best for: Hydrating lips with a rich, buttery formula and protecting lips from UV rays. Best for: A flawless base which provides hydration, sun protection and foundation-like buildable coverage. Best for: Sun-kissed colour without the damage to your skin, it’s streak-free, natural looking and quick-absorbing. Best for: Melts weightlessly into skin, matte finish for smooth, healthy looking skin with no pigments and the perfect glow. Best for: Revives dull, fatigued skin instantly and has broad spectrum protection. Prolongs and enhances the look of makeup.